Of course, anyone from the class of '71 will remember the toilet being blown up in the bathroom. I wonder who did that? Some of us know! Thank you for your interest in giving a monetary gift. You can download a gift form HERE. Your generous contribution will provide grants for programs that encourage educational innovation, promote excellence, and create educational opportunities for students. 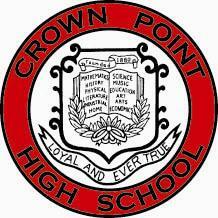 The CPHS Alumni Association is a 501(c)(3) nonprofit organization under the regulations of the Internal Revenue Service. All contributions to the Association are tax-deductible to the extent provided by law. Please feel free to email us at: CPHS Alumni Email, if you have any further questions.